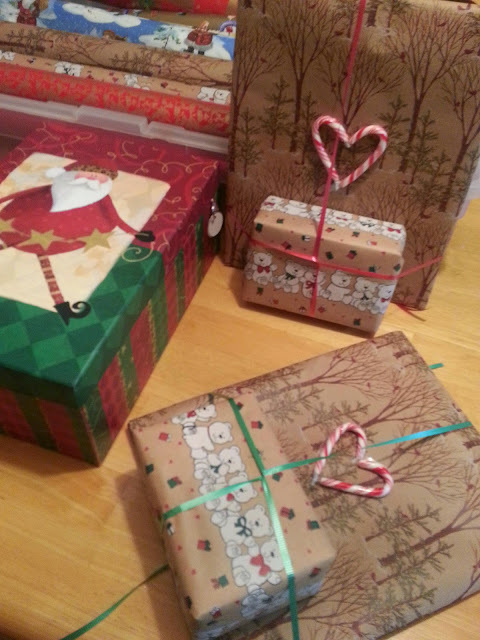 I loved this idea for gift wrapping using two different craft paper wraps. The pressies were for our 2 great-grands. They tore into them. Their 7 year old boy-cousin they brought actually commented on the wrap.